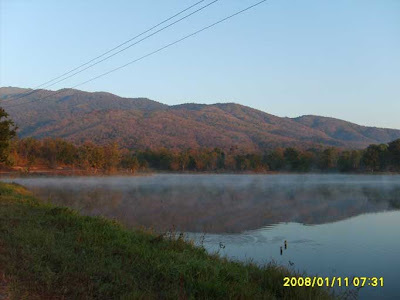 Mae Hia - at 7am the temperature was 9c. (January 8th. HTT) Now I know where all the Common Moorhens have gone, there was a dearth of them on the big lake but today I discovered at least 8 on a distant pond on the other side of the causeway. Obviously they find it quieter in that distant pond. At the other end of the lake a not often seen Striated Warbler was observed preening whilst sitting in the long grass. Just around the corner from there is my ‘Breakfast Tree’ and it produced as usual. In addition to those regulars was a male Long-tailed Minivet and a hunched up Asian Barred Owlet trying to keep a low profile. When it finally flew off there was a great diving about and protesting shrieks from the other birds in the tree and then they settled down as if nothing had happened. They must have known it was there so why all that fuss when it decided to leave? Seven Grey Herons were seen flying overhead. Normally they would have distributed themselves around the lake but recently they have taken to ignoring our lake and carrying on into the military area where there is another lake which is forbidden to us civilians! How do I know they are there? Because I have sneaked into that area to confirm it. I did a stint in the Royal Marines, 45 Commando, plus I was in my jungle greens so my infiltration was carried out with comparative ease, with my long Sennheiser microphone plus pistol grip at the ready for any outburst of bird-calls! (January 11th. Mae Hia) Number-wise not a bad morning, 64 species seen and 9 identified by call. An exceptionally cold morning, 9c at 7am. But it soon warmed up as it always does. I have to admit, rather sheepishly after my recent outburst, that the burnt out area of mimosa bushes and undergrowth produced this morning. Two Red Avadavats, male and female, were spotted along with a few Baya Weavers, 6 or 7 Plain Prinias were busy feeding along with various warblers, Thick-billed, inornate and dusky. A couple of Stonechats, a flock of Chestnut-capped Babblers, a Lesser Coucal, a White-breasted Waterhen and various bulbuls. Others seen was a lone Cattle Egret scurrying around the feet of ten Friesian cows, two Rufous-winged Buzzards, a lone male Eurasian Kestrel and a Black-shouldered Kite. On one stretch of road five Asian Barred Owlets were heard calling from all points of the compass. Common Koels have become more noticeable with their resounding kow-wow calls which generally means that they will soon be on the lookout for suitable mates. Four Hair-crested Drongos were seen in the distant foothills in their usual tree with large white flowers. Finally four different species of shrikes were seen. Back to the ‘slash and burn’ around the ponds and other places at Mae Hia. This area is the Agricultural Training Centre for the Chiang Mai University and by their actions they are telling the students that it’s okay to farm this way. This is in contradiction to the laws laid down by the Thai government. The latest tightening of these laws was brought about by last years devasting clouds of smoke that covered S.E. Asia causing the deaths of the elderly and children and they are still being ignored by the University. I pick them out as they are a state university and should therefore set the standard for others to follow. Interesting post.....................wow didn't know you were in the Royal Marines! Yes, I managed to fit in two years (national service)with the Royal Marines between 1954 and 1956. It was an interesting period as we were trying to quell the Greek Cypriot (Eoka) attempt to gain union with Greece (enosis). We didn't succeed and Archbishop Makarios ended up ruling Cyprus as he had always intended to do. As I said, an interesting period. I'd like to invite you to add your Bird Watching Tours to www.yougodo.com - it's FREE. We'd love to promote your business. To add yourself, simply go to http://www.yougodo.com/AddMe/ and follow the intructions. A shrinkage of birds ?